Someone offered me cash, what do I do? If an effort is made to uphold the no-cash rule before a cash offer is made this is preferred to offering cash outright. Keep in mind some people may not respond well to being offered cash and it is generally not advisable to make cash offers. You might have posted something that someone else really wants or needs. After discussing potential trades you come to the conclusion that the most appropriate option might be a gift card. In this case there is almost no difference between cash and a gift card. This is a very sticky subject in the Bunz community and many people feel differently about the use of gift cards on Bunz.  If you have an opinion you'd like to share on the use of cash or gift cards on Bunz feel free to make a post on the app or send an email to hello@bunz.com.